Nipsey Hussle Memorial Basketball Court Unveiled – ..:::Welcome to Ballerz Mixtape:::.. The Nipsey Hussle Memorial Basketball Court was unveiled, the same day as his emotional celebration of life ceremony. 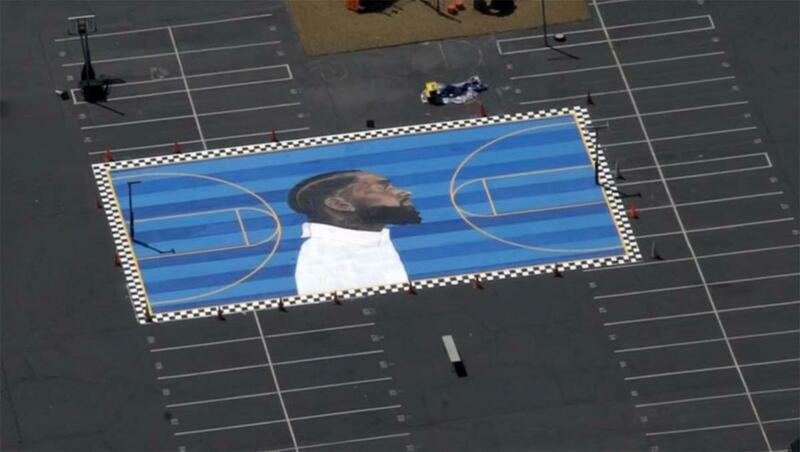 The court is located outside of the Crete Academy non-profit charter school and features Nipsey’s face with a blue background and a black and white checkerboard border. Nick Ansom, CEO of the Venice Basketball League, which spearheaded the project, stated, “His legacy will live on and his spirit lives forever.” The court will be opened with a ribbon-cutting ceremony over the weekend.